Bluefire Wilderness Therapy provides a multi-dimensional solution for Massachusetts teens facing a variety of struggles, like substance abuse, technology addiction, school refusal, anxiety, depression, and many others, and aims to help repair family bonds so that the changes that happen during the program persist well after the teens go home. 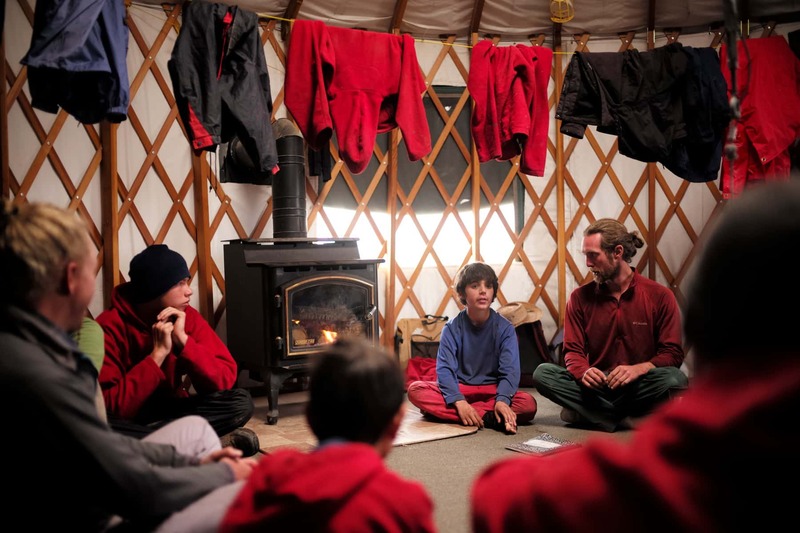 Massachusetts parents faced with the many inpatient treatment options available today should strongly consider wilderness programs, as they are considered one of the most successful approaches by many expert psychologists in the field. By removing the teens from their daily routine and unhealthy habits, they have a chance to better focus on their feelings, thought patterns, and behaviors, making out-of-state wilderness therapy an excellent opportunity for growth and increased understanding. BlueFire Wilderness therapy is one of the leading wilderness programs for Massachusetts teens. 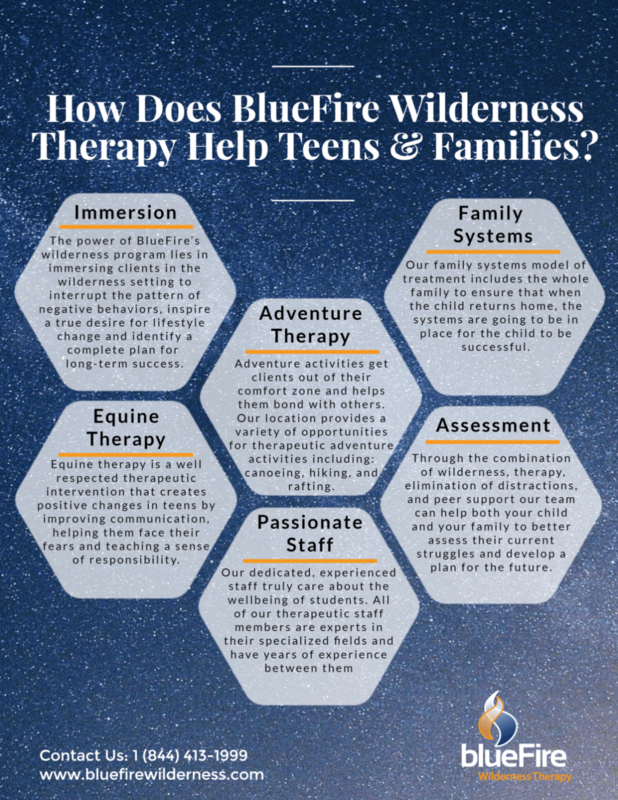 BlueFire combines many different elements and approaches, from evidence-based therapy techniques, to the continued support of expert, nurturing therapists present during multi-day excursions. BlueFire also utilizes equine therapy, academic tasks, and volunteer work to give teens from Massachusetts a chance to explore many different activities and challenges. This allows teens to become more responsible and self-aware, as well as giving them a chance to explore passions and dreams that can inspire them on their road to healthy adulthood. BlueFire Wilderness Therapy is one of the most unique wilderness programs for Massachusetts teens. It aims to help Massachusetts teens struggling with a variety of issues and situations, such as substance abuse, anxiety, depression, problems within the home, and many others. As one of the leading wilderness programs for Massachusetts teens, BlueFire believes removing teens from their normal environment is essential to a real examination of life choices and paths without the everyday influences theyve become accustomed to. BlueFire offers a range of activities aimed at helping teens from Massachusetts become more self-aware and self-sufficient. We combine adventure therapy with more traditional forms of one-to-one counseling and family-oriented therapy sessions via video conference. Therapists are on the field with the adolescents 4 days a week to ensure continued support and guidance. Even though BlueFire Wilderness is not situated in Massachusetts, the program is designed for teenagers from anywhere in the country, and is equipped to help them cope with being far from home. An out-of-state experience is a great way to help Massachusetts teens focus on the issues they are facing without distractions from peers, social media, and situations that may be contributing to their problems. Wilderness programs for Massachusetts teens are an immersive experience which will challenge and inspire teenagers from Massachusetts to grow and take steps towards better mental and emotional health. To learn more about how BlueFire Wilderness can help your Massachusetts teen, call us at 1 (844) 413-1999 today! Youth.gov : Youth. gov provides a wealth of information for issues affecting young people today, and lists many resources that can help them on their path to adulthood. It provides a useful guideline for parents seeking treatment options for their struggling teens, but who dont know where to start, by taking them through the options available and addressing concerns they may have about treatment.